I have never focused a whole post on a particular brand but I thought now would be the right time. 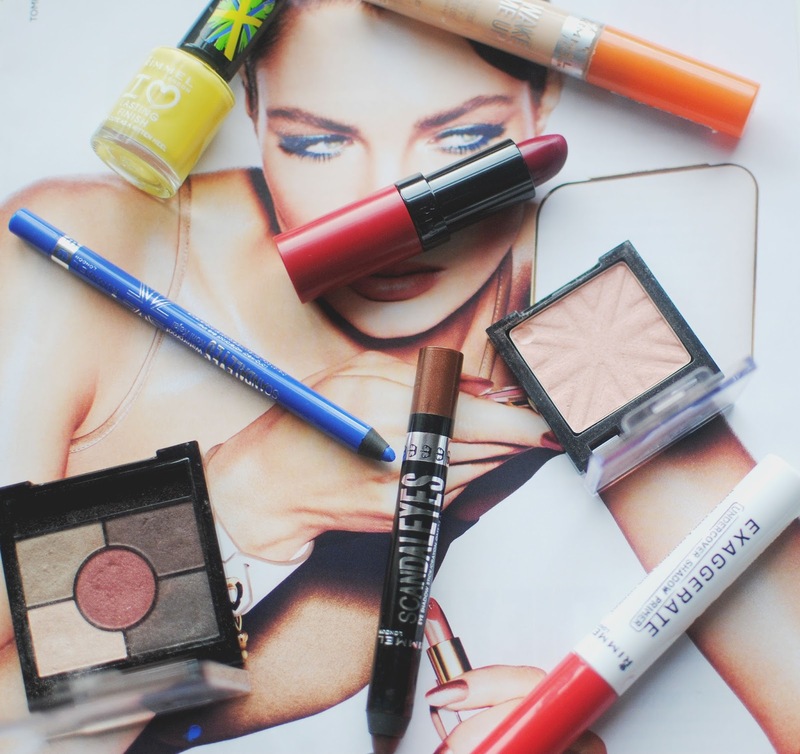 Rimmel London is a brand that I think most people have tried. They always seem to get so many products right from lipsticks which are super nourishing , eyeshadow that's long lasting and nail polishes in every colour you could imagine. 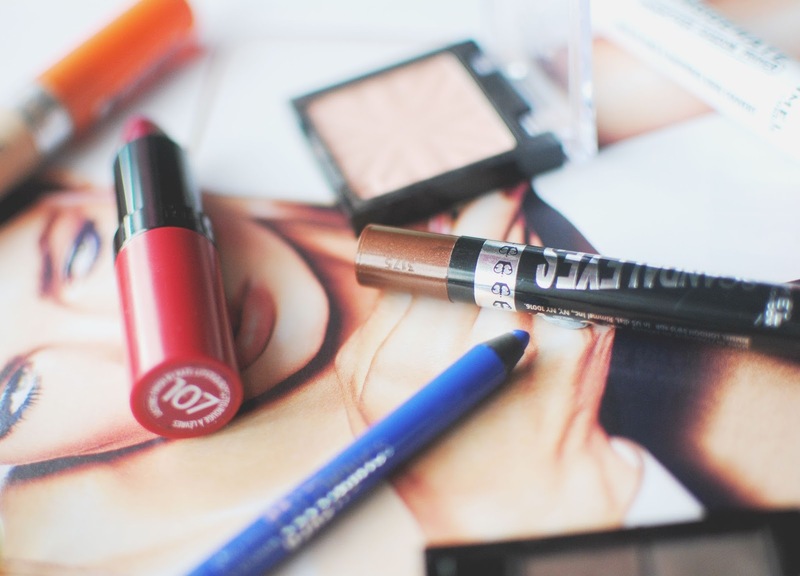 When I decided to do a brand focus of a make up range and I was going through my make up stash I was amazed by how many Rimmel products I actually owned I didn't think I relied on them for at least a quarter of my make up. I think Rimmel work so well as they cater for every beauty product, you name it they have produced a much loved product. In the images above are my must have products from Rimmel which I would recommend anyone buy if they don't already own. First up is the Wake me Up concealer which at the beginning I didn't really like that much and was dedicated to my Collection concealer but now I feel that Rimmel's version is a lot creamy than Collection which I can find to be quite drying especially under the eyes. In terms of lips Rimmel London offer a huge range of shades and finishes but my favourite would have to be the Kate Moss matte collection especially 107 the perfect mix between a red and berry shade. One thing I don't own a lot of is Rimmel eye products, any that I do have been very recent purchases. In the last year they have brought out so many unique eye products which are to die for. The ones I have managed to pick up are the small eye palette , primer and a shadow stick and eyeliner which I recently raved about. Their eye products are of such good quality and can count as a dupe for many upper end brands. A new addition to my Rimmel collection is a blush which is my most loved product at the moment. It's super natural just adding a flush to your face rather than a huge pink blob . Their nail polishes are probably the first product from Rimmel I tried. I went through a stage of loving their polishes and then got fed up using them as I discovered other brands but I have seen my self returning to them recently and you can now purchase Rimmel polishes in Poundland what's not to love. So if you don't own a Rimmel product yet then I advice you get your legs into action and bring yourself to your local drugstore and pick something up as it would be a shame otherwise. 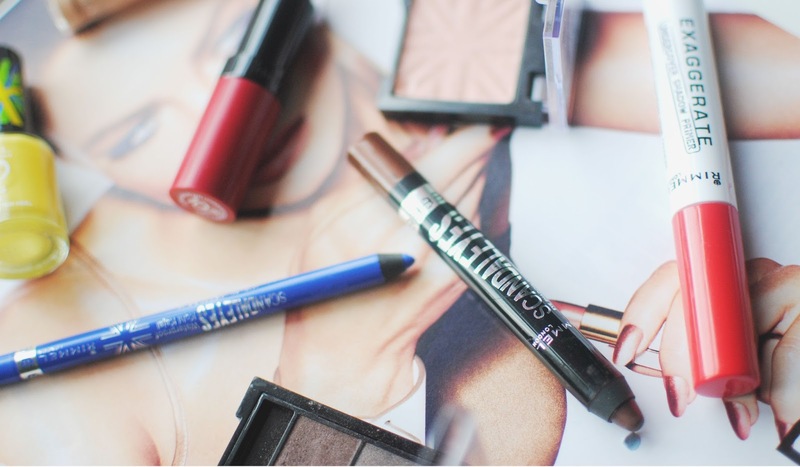 What are your favourite Rimmel London products ? I haven't tried anything from Rimmel yet! I guess because I have way too much makeup to finish up before I buy more! I am really curious about their eye pencils.. which will be the first thing I get! I really like the Rimmel nail polishes, as they wear well and dry SUPER quickly - I don't have the patience for nail lacquer otherwise! They're not my favourite nail polish brand but they're my go-to for colours that I might not buy from more expensive brands.